The Handmaid’s Tale is the second dystopian work of speculative fiction—after George Orwell’s 1984—to suddenly appear on top of the bestseller lists years after its release. The renewed interest in Margaret Atwood’s classic story of a post-apocalyptic America dominated by a puritanical religious sect that reduces most women to subjugated breeder status stems from both the current political atmosphere in the United States and the adaptation airing on Hulu (starring Elizabeth Moss, Alexis Bledel, and Joseph Fiennes). What’s interesting about The Handmaid’s Tale is how many people assume it’s much older than it actually is. The book was originally published in 1985, and while that’s 32 years ago many people are surprised it wasn’t penned in the 1950s or 1960s; blame this on our tendency to believe that the present and very recent past are fairly enlightened. People assume the book was written during what some see as the final gasp of patriarchy—before birth control and the women’s liberation movement started the slow, agonizing process of pursuing equality for women and raising consciousness around the world. On the other hand, a book written three decades ago still resonates with a particular power. Hulu isn’t adapting The Handmaid’s Tale as a revered classic kept behind glass, but rather as a pulsing, living work of literature that speaks to modern-day America. Not many books can retain that kind of power for thirty years, and The Handmaid’s Tale remains a powerfully current story—for three distinct reasons that go beyond politics. One aspect of The Handmaid’s Tale that is often overlooked is the author’s dedication to the story. 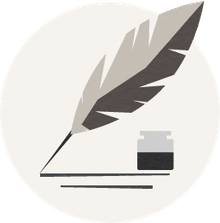 When the author herself regards the story as a living, breathing work and continued to discuss and develop the ideas within it, the story retains some of the immediacy that surrounded it upon publication. In fact, Atwood has actually just expanded the story. As part of the launch of the updated audio version of the novel on Audible (recorded by Claire Danes in 2012, but with a completely new sound design) Atwood wrote both an afterward discussing the book and its legacy, but also new material that extends the story. The book famously ends with the line “Are there any questions?” The new material comes in the form of an interview with Professor Piexoto, which is the sort of thing fans dream about. The material is performed by a full cast in the Audible version, giving it a rich, realistic feel. 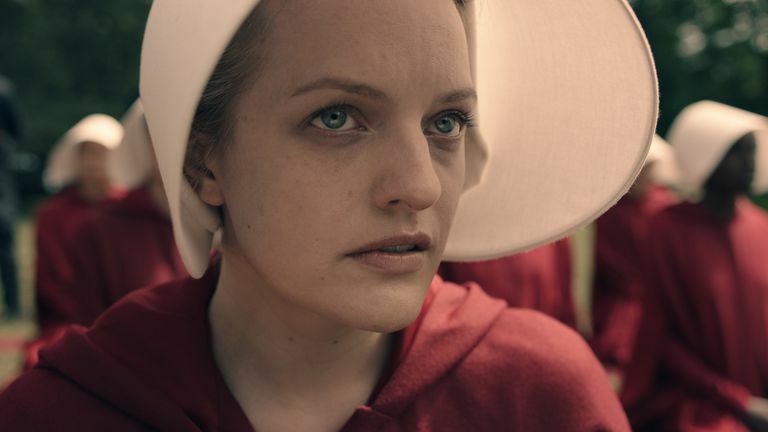 It’s also a little mind-bending, since the ending of the novel makes it clear that the good professor is discussing Offred’s story far in the future, long after Gilead has disappeared, based on audio recordings she left behind, which Atwood herself has noted makes the Audible version appropriate. First of all, we should note that Atwood dislikes the term “science fiction” when applied to her work, and prefers “speculative fiction.” It might seem like a subtle point, but it makes sense; The Handmaid’s Tale doesn’t actually involve any weird science or anything implausible. A revolution establishes a Theocratic dictatorship that severely limits all human rights (and especially those of women, who are even forbidden to read) while ecological factors reduce the fertility of the human race significantly, resulting in the creation of Handmaids, fertile women who are used for breeding. None of that is particularly sci-fi. That’s part of the chilling power of The Handmaid’s Tale. All you need to do is check out some of the darker areas of the Internet, or even some of the legislative bodies around the country, to see that male attitudes towards women haven’t changed nearly as much as we might like. When the Vice President of the United States won’t have dinner alone with a woman who isn’t his wife, it’s not hard to imagine a world not so different from Atwood’s vision coming around... again. Next time you wonder if The Handmaid’s Tale is so far-fetched, consider that statement. There's a reason women in Texas recently dressed as Handmaids as a form of protest. You can often judge the power and influence of a novel by the number of attempts that are made to ban it—another ghostly echo when you consider that women in the novel are forbidden to read. The Handmaid’s Tale was the 37th most-challenged book of the 1990s, according to the American Library Association, and as recently as 2015 parents in Oregon complained that the book contained sexually explicit scenes and was anti-Christian, and students were offered an alternative book to read (which is certainly better than an outright ban). The fact that The Handmaid’s Tale continues to be on the receiving end of these sorts of attempts is directly related to how powerful its ideas are. It’s a slippery slide from celebrating supposedly “traditional values” and gender roles to enforcing those roles in a cruel, humorless, and terrifying way. Atwood has stated that she wrote the novel in part to “fend off” the grim future she laid out in its pages; with the release of the new Audible material and the Hulu adaptation, hopefully a new generation of people will be inspired to fend off that future as well. The Handmaid’s Tale remains a living, breathing work of potential history that’s well worth reading—or listening to. Grab the Cocoa and Enjoy "The Thirteenth Tale"